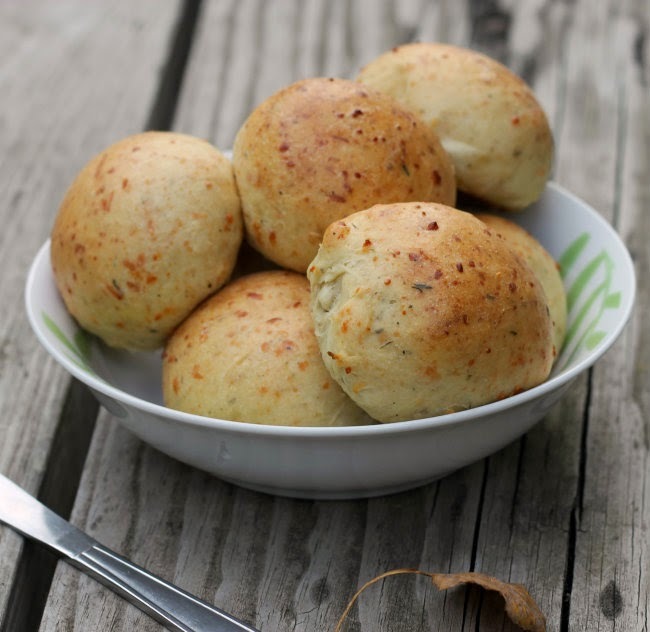 Cheesy buns with Italian season will enhance just about any dinner. These soft pillowy buns taste delicious! Sunday was a day spent mostly in the kitchen. We were celebrating the birthday for our daughter-in-law. It was just last year when our son and our daughter-in-law got married. Boy, it is hard to believe that a year has passed by already. As always when we celebrate a birthday at our house, we let the person celebrating their birthday choose what they would like to eat. My son informed me that when he and our daughter-in-law make their decision they go on my blog and look at the recipes to make their decision. I guess it has been a while that I have been blogging and there is quite the variety of recipes. We served Chicken Parmesan, so I wanted some bread that would go along with the flavor of the dinner. 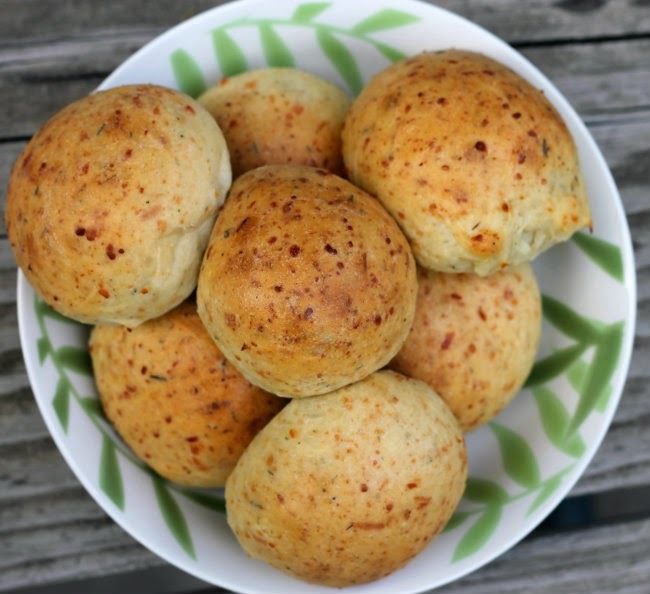 The buns had some Parmesan cheese, mozzarella cheese, and Italian seasoning added to them. They turned out super soft and when the dinner was over there was one left. 3. Use a large enough bowl so that you can knead the dough in the bowl. Gradually add the rest of the flour, kneading the flour into the dough until you have a dough that is slightly sticky to the touch. 4. Grease the bottom of your bowl and turn the dough so that each side gets coated. 5. Cover the bowl and with a towel and set in a warm place and let the dough rise for a 1 1/2 or until about double in size. 6. Prepare baking sheets by greasing them lightly. 7. Once the dough has doubled in size, pinch off pieces of dough and form into rolls. They should be about a 1/2 cup of dough. 8. 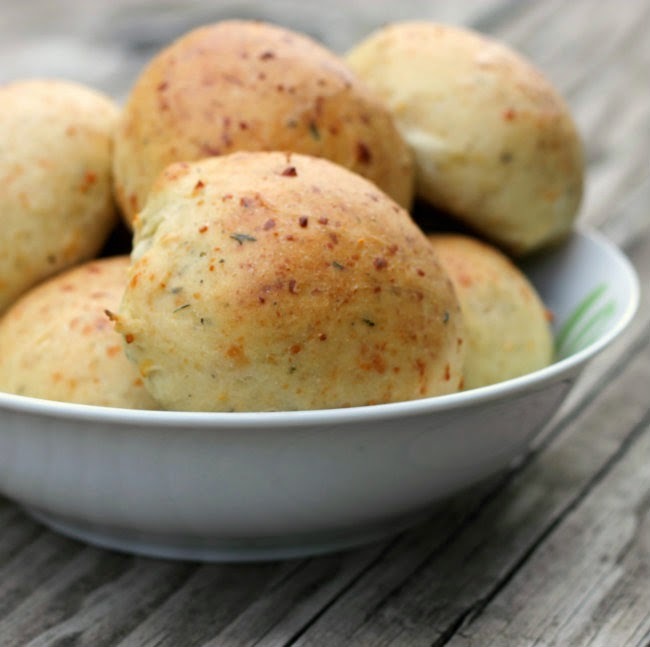 Cover the rolls and let rest for about 45 minutes to an hour, so they are about double in size. 9. Preheat oven to 375 degrees F.
10. Once the buns have rested, place them in the preheated oven for 12 to 15 minutes or until lightly browned. 11. Remove from oven and brush the buns with melted butter. I love the idea of adding so much flavor to the buns. I like that birthday celebration system! And I LOVE that you stuffed these buns full of cheese. Definitely the way to go. I love cheesy buns! And these really look like they deliver terrific flavor. Good stuff — thanks. 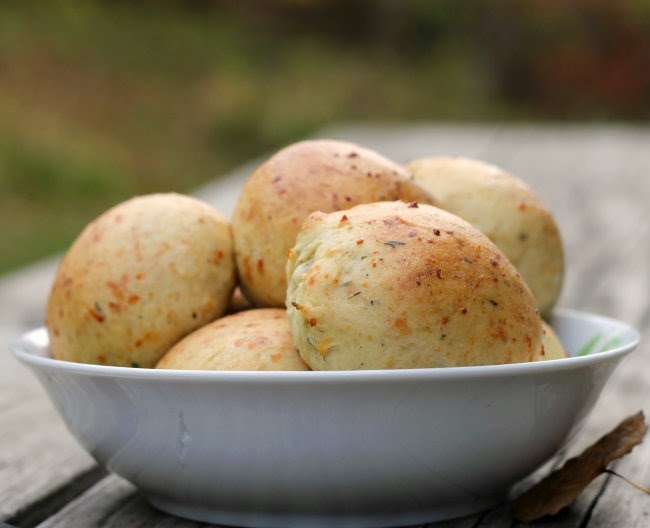 Dawn, these rolls look fabulous, I love all the cheese and the Italian spices in it…awesome!